Some like it hot. Or at least tongue-tingling. That’s what Happy Quail Farms of East Palo Alto is hoping with its two new spicy peppers. Owner David Winsberg is believed to be the only one in the United States selling the Guindilla Verde from Bilbao, Spain and the Shaerma from Bhutan. 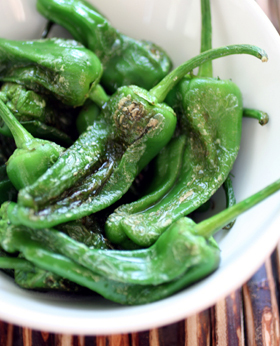 The light green, heirloom Guindilla Verde, with its grassy flavor and moderate heat, is perfect in piperade, egg scrambles, stir-fries or simply grilled and served alongside steaks. When it turns red, taking on a sweeter note, it’s typically used in Spanish chorizo, giving the sausages their distinctive, crimson tinge. The dark green Shaerma is practically a national treasure in Bhutan, gracing almost every meal of the day. 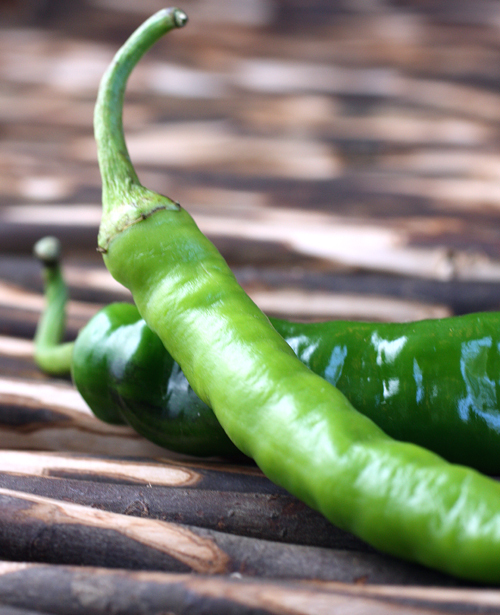 Similar to a New Mexico Hatch chile in spiciness and to a Pimiento de Padron in flavor, this tender pepper is fairly hot, making it ideal for dishes with cheese to tame it a tad. If a hot jalapeno registers 2,000 to 3,000 on the Scoville scale, these two peppers probably rate 5,000 at most, Winsberg says. Find them at $5.99 a pound at the Happy Quail stand at the Ferry Plaza Market in San Francisco on Saturdays and Tuesdays; the Sunday Menlo Park downtown farmers market; the Sunday Marin farmers market; and the Saturday Palo Alto downtown farmers market. But hurry. They’ll only be around until the warm weather lasts.